The newly named director of MOCA, Klaus Biesenbach, compares the L.A. art scene to Berlin, a place that, a few decades past, was full of hustling young talent and inexpensive studio space. Summer is a time of group shows in L.A. galleries and a rare opportunity to see a wide cross-section of the city’s talent. Galleries feel freer to explore their own creativity, offering work in sympathic contexts. The Paris-based gallery Praz-Delavallade opened their mid- Wilshire space last year and their current show presents both artists they represent and others they simply admire. Organized by René-Julien Praz, emphasis is on the pleasure of being out of doors, enjoying aspects of the natural world and doing exactly as you please. Based loosely on ideas in the Shakespeare play, As You Like It, works in the show relate to the forest of Arden, fecundity and bliss but also underscore the fragility of that natural bounty. In the show, flora abounds. Kim McCarty, known for her watercolors of soft focus, androgynous nudes, presents a few of her latest botanicals. 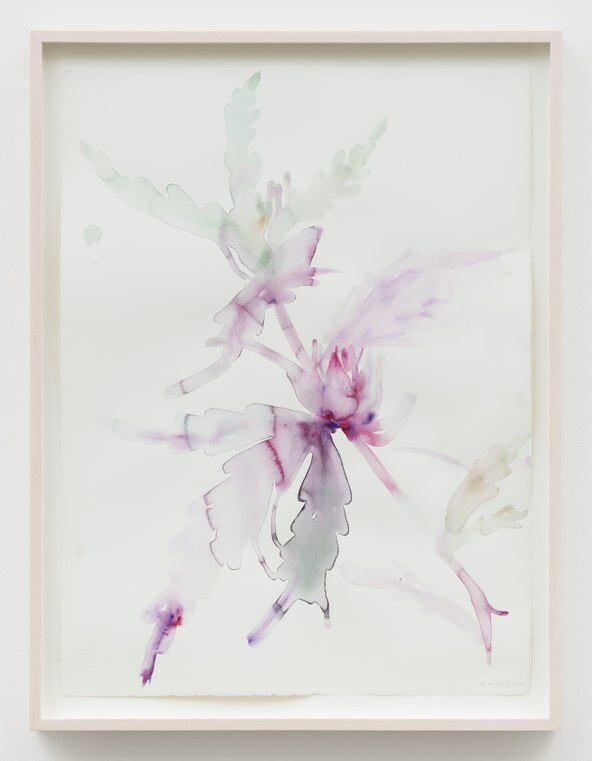 These pastel representations of leaves and stems, in lavendar and sage, turn out to be marijuana plants. Not the generic and easily identifiable leaf on any green pharmacy sign but a more specific and delicate type. She titles the pair in this show as “female,” reminding us that these plants with all sorts of healing properties also have reproductive duties. 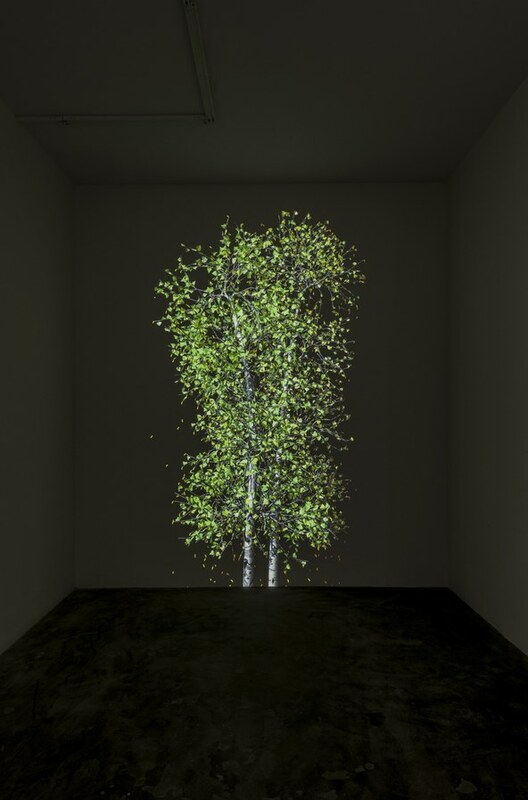 Praz and Delavallade commissioned a unique installation, Blind Eye 2 from Jennifer Steinkamp, who is known for her animated installations of trees or flowers that are created by her to be projected in colored light. 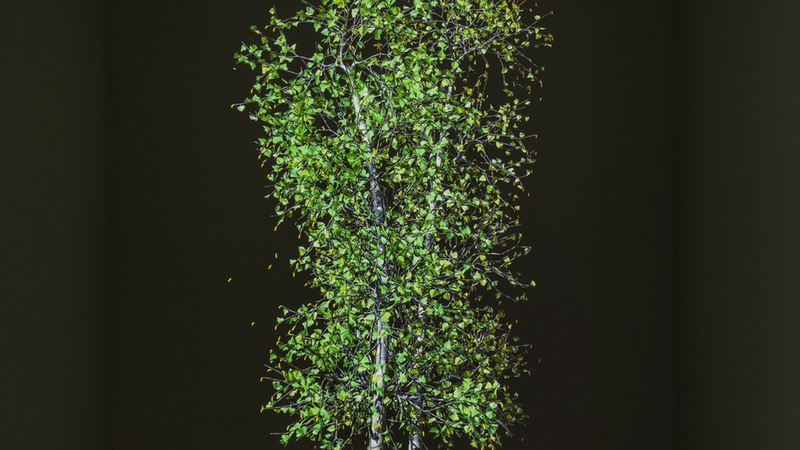 In this case, a single slender birch tree repeatedly loses and regains its green leaves as though changing seasons by the minute. Jennifer Steinkamp Blind Eye 2, 2018. ￼￼￼￼￼￼￼￼￼￼￼Looping animation. Variable Dimensions. Unique edition. There are almost 30 artists in the show but nearly every piece is carefully selected and presented. 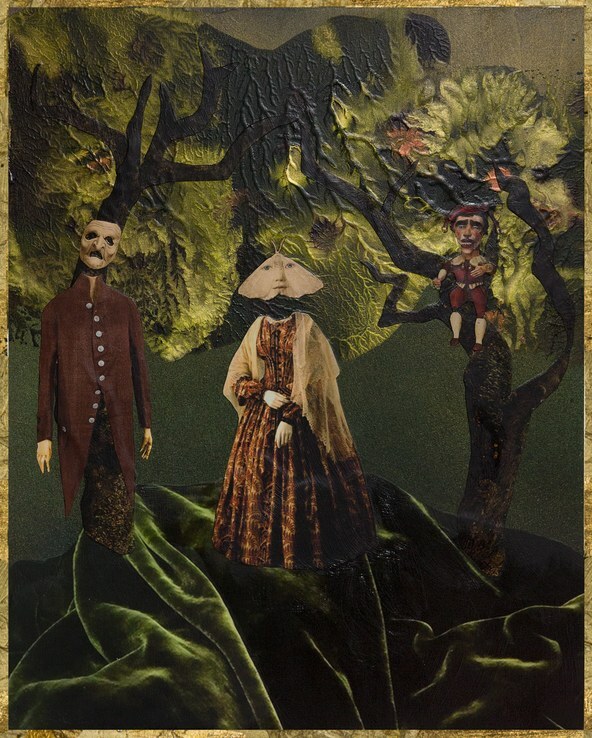 Marnie Weber responded directly with a new collage The Forest of Arden wherein Rosalind’s face is composed of moth wings. 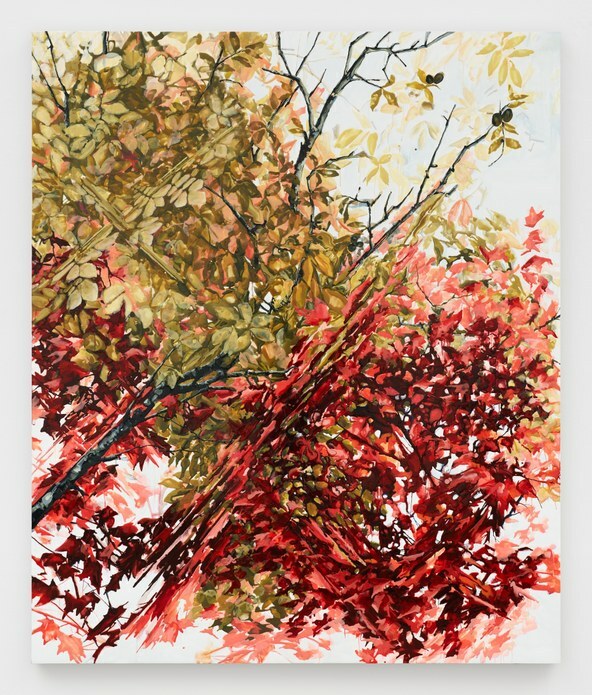 Kirsten Everberg’s painting of tumbled autumnal leaves at Walden Pond is actually based on her son’s nature-based video game. Marnie Weber. The Forest of Arden, 2018. ￼￼Collage, acrylic paint on wood panel with gold leaf wood frame. 20 1/2 x 16 1/2 x 2 in PPc (52,1 x 41,9 x 5,1 cm). 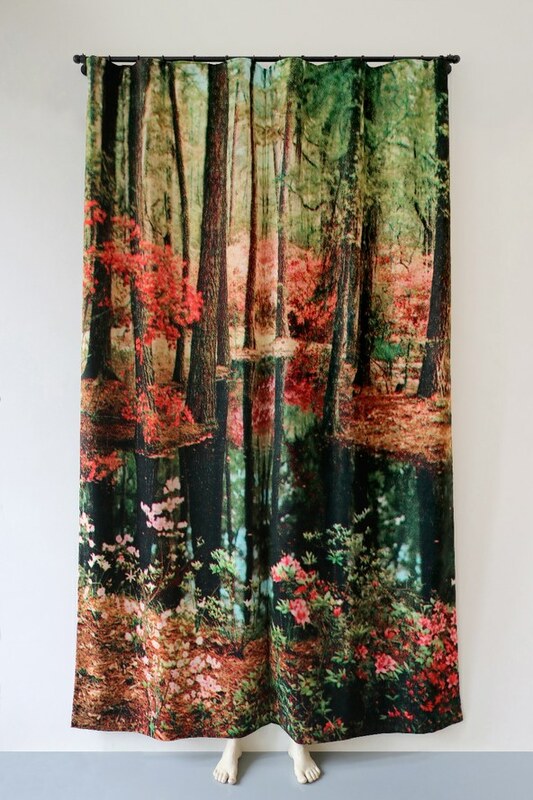 Pierre Ardouvin’s pastoral view is printed on velvet curtains concealing a hidden figure. Only the white feet are visible. 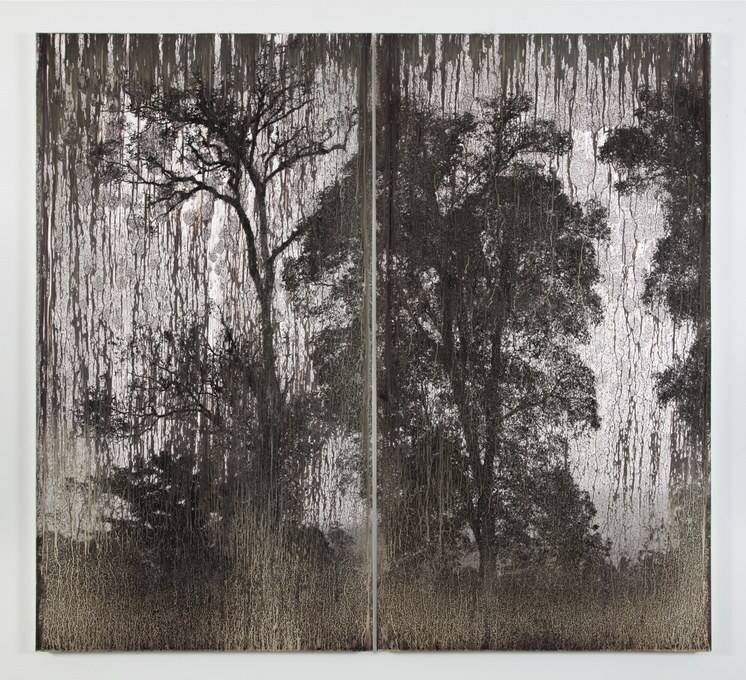 A particularly seductive diptych by Matthew Brandt is made of silver on silver gelatin mounted on aluminum. The gray tones of the trees and landscape appear to be melting and peeling, as though reflected in an antique mirror. 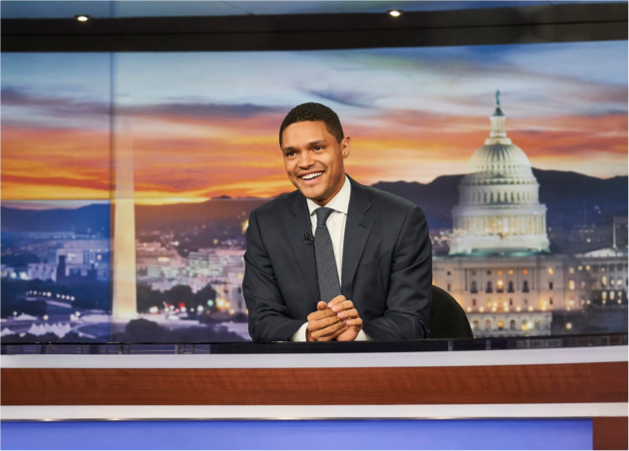 The variety supports the show’s premise. It is as you like it. Or C’est Comme Vous Voulez. Through Aug. 18. This is just one of the many groups shows worth a visit. Others include Other Worlds curated by Martin Durazo at Charlie James in Chinatown, Cosmic Traffic Jam at Zevitas Marcas in Culver City, Transfigured at Diane Rosenstein in mid-town, The Candy Store at Parker Gallery and many, many more. Put the top down, crank up the tunes and enjoy the art of today without going to Berlin.